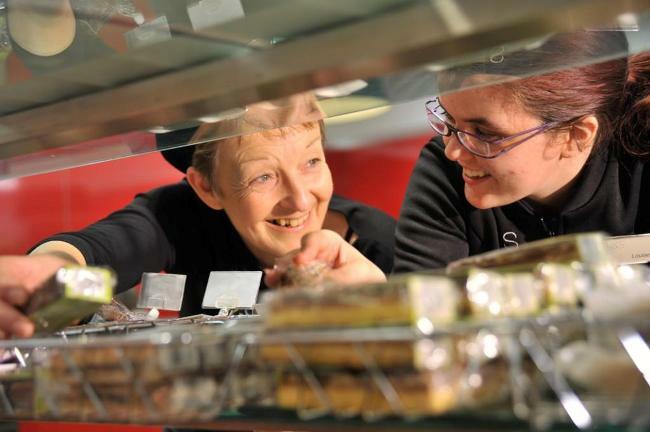 Marks & Spencer (M&S) has launched a new youth employability scheme in Leeds. Make Your Mark will see the retailer join forces with youth charity, The Prince’s Trust, to create over 1,400 work experience placements for 16-25 year olds. Youth unemployment in the UK has recently reached record levels, with one in five 16-24 year olds in the labour force currently struggling to find a job. In Leeds alone, one of just 27 cities and towns across the whole of the UK to initially be offered the opportunity to take part in Make Your Mark, current figures show that there are 17,400 unemployed young people . Make Your Mark offers a training and job placement programme designed to address the skills and experience gap that prevents young people from finding work. From this week 20 young people aged between 16 and 24 from Leeds will begin their inductions and placements at M&S stores in Leeds, Cross Gates, Moortown, Pontefract, Guisley, Birstall, Huddersfield and Wetherby. Make Your Mark is inspired by Marks & Start, M&S’ successful employability scheme for people who face barriers to employment. Since 2004 it has enabled over 1,100 young people to complete placements in stores and offices across the country, with 50 per cent gaining employment with M&S or another employer within three months. The scheme takes this to the next level with a commitment to support even more people with a youth-focussed programme. “Youth unemployment has become one of today’s key social issues and we want to lead the charge for businesses to do more to tackle it head on. “There are nearly a million young people not in employment, education or training and we risk having an entire generation missing out on their chance to show their working potential and make a contribution to society. We hope to make a real and lasting impact on the lives of many young people. “The programme builds on our experiences of our employability scheme, Marks and Start, launched in 2004, which supports people to overcome significant barriers to employment. “There are hundreds of thousands of young people out there who are currently struggling to find a job. Youth unemployment can contribute to low self-esteem, feelings of hopelessness and even depression.